Reduce Your Fuel Expenses: It is very important not to waste a lot of money on fuel. You can reduce your car trips and walk instead of using your car for short distances. Opting for a small and more fuel efficient car instead of driving an SUV is advisable to reduce the debts. If possible you can also carpool and this will also save money. By Eating at Home: You can save a lot of money by eating at home, rather than eating out. It will also be healthier and help you to save money. Further, more things can be eaten at home as compared to eating out. Shop With a List: It is very easy to spend more than you need, if you do not have a list ready with you. Having a list handy can easily save money and you can use that money on something more valuable. Spend Less on Clothes: You must not spend money on clothes you rarely need. At the same time, try to buy new clothes from discount stores where you can get a good bargain. Also, you should try and avoid buying clothes than can only be dry cleaned. Working From Home: If your employer allows you the option of working from home, it can help you to save the commuting expenses. Initially, you may feel that not much money is being saved, however, over the time it can result in huge savings. Move to a Smaller House: You can also save money by moving to a smaller house. In case you feel that it is not possible to move to a smaller house, you can try to refinance your mortgage and get a mortgage with a lower rate of interest. If you are staying alone, you can ask your friends to shift with you, as this will not only help you to save money but would also ensure that all the other expenses are spread proportionately. Plus, the option of living with friends always guarantees a nice time at home. Reduce Your Phone Bills: You can save money by choosing the correct billing plan for your phone. You can talk to your service provider to get the correct plan and ask for available discounts and promotions. If possible, you can also opt for a pay as you go plan and it can save you more money as against a billing plan. Reduce Your Entertainment Expenses: You can save cash by cancelling all the pay channels that you do not see. Also, get the connection of the cable and internet from the same company that offers the best deal. Try to watch movies at home instead of going out, as it is a sure shot way to save the moolah. Do Your Own Repairs: By doing your own repairs at home, you can save a lot of money. However, guidance from the internet about the fixing the devices is one way that can prove economical and fun. Cutting Down on Luxuries: There are some expenses which are extravagant and if you cut down on them, you can easily save a lot of money. 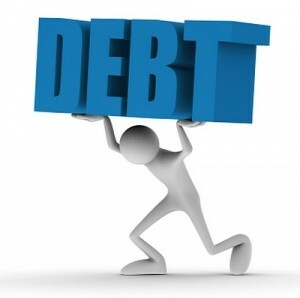 Abandoning all the luxuries and adopting a simple yet savvy lifestyle, is a certain way to reduce your debts. The above mentioned ways, if adhered to, can easily get you out of debt and once again you can enjoy a debt free life.